Classics Prof. Marianne Hopman recites a poem by the ancient Greek poet Pindar during the memorial for Weinberg classics Prof. Kathryn Bosher. Bosher died of cancer over spring break. Northwestern students, faculty and family gathered in Harris Hall on Monday to remember the life of classics Prof. Kathryn Bosher. Bosher died of cancer March 23 at the age of 38. About 50 people attended the memorial service, which included sometimes tearful memories of Bosher’s research, teaching, friendship and cheerfulness. Colleagues played slideshows of the many events she organized and videos of comedic plays she convinced students and faculty to perform. Bosher joined the NU faculty in 2006, specializing in Greek literature and drama. While teaching, she edited the book “Theatre Outside Athens,” which looks at Western Greek drama. Political science Prof. Sara Monoson said the book received a “rave review” in The Times Literary Supplement. In addition to editing “Theatre Outside Athens,” Bosher was also working on a manuscript of her own. Monoson said she looks forward to reading it. “It will be almost like having another conversation with Kate,” Monoson said. Classics Prof. Dan Garrison recalled agreeing to do a reading of an Aristophanes play with Bosher without realizing what he was getting himself into. “No sooner had we gone off script than she said, ‘Next week we’ll learn the dance number!’” Garrison said. Garrison said the final surprise of the play was Bosher requesting they perform at a classics conference in Ann Arbor, Mich. He said the experience put Bosher’s enthusiasm and drive on full display. Weinberg junior Brian Earl said he took a class with Bosher in which students performed one of the Plautus plays they translated. Colleagues also read selections from the Aeneid and excerpts of Greek drama in translation to remember Bosher’s dedication to classical civilization and languages. Classics Prof. Francesca Tatarrani collected quotations and memories from Bosher’s former students and showed a slideshow of them at the end of the memorial service. 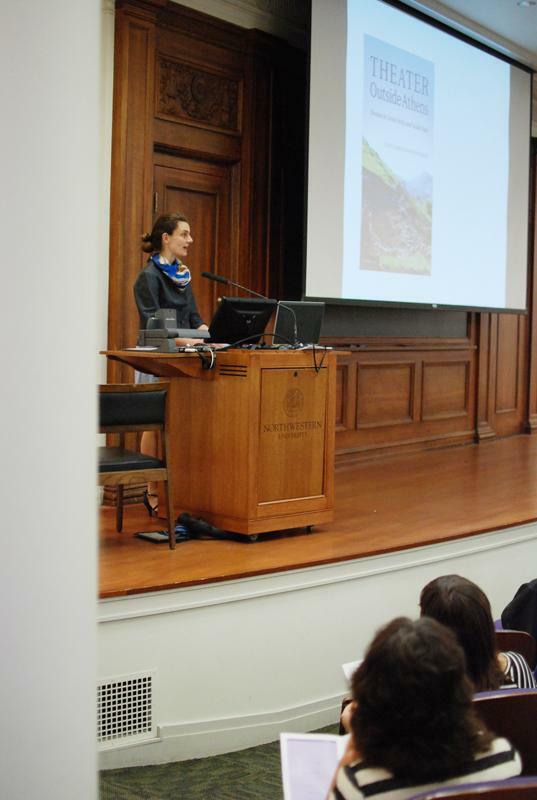 Tatarrani also recalled the many collaborations she and Bosher undertook to plan classics department events. “Her teaching was a work of love and had the power to change students forever,” Tatarrani said. Earl said Bosher was one of the best professors he has had at NU. “She did a great job fostering a sense of community in class,” Earl said.